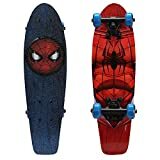 / How to Master Longboarding? Get 7 Best Longboarding Tips Now! As a beginner, most of us (riders) have this issue – we got really no idea what exactly we are doing. It took me several years to get to where I can help you guys. 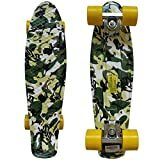 Here, I am going to share some of the simple longboarding tips I wished somebody shared when I was getting started. Longboarding Tip #1: Understand Different Riding Styles and Which Longboards Suit the Style. You can bomb down a crimped hill, or cruise around your campus, or just bash over a skating park or ditch on a longboard. There are different types of longboards that make all these possible. Therefore, consider where you live before getting the best starter longboard or skateboard. a. Basic Commute – Riding a longboard is a fun and eco-friendly way to expedite around the city rather than waiting at traffics. In recent years, due to the dramatic change in climate people are taking up the greener way to commute around. And why not? They don't contribute to pollution, not heavy on the pocket and fun way to work out a little. Whether it is a tight corner or narrow passage, you can always make your way out of it on a longboard. 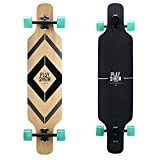 Make sure that the longboard is comfortable and doesn't exert strain on your knees and leg – especially if you are riding long distance on it. Manufacturers have longboards specially designed for this purpose. Ideally, they are 35 to 40-inch long along with a kicktail that helps to curb with ease. Some riders prefer flex in the deck construction while some go for the soft bushing and shorter wheelbase for better maneuvering. It depends upon you, how you want it to be. You can also consider longboards with double-drop decks. b. Cruising & Carving - It is all about slicing your way out over sloped surface or a courtyard or on slant street. It is, in fact, the very first thing you try doing on a longboard. c. Freeride/Downhill Riding – As the name suggests you go down a hill at a very high speed and maintain absolute control over the ride. Yeah! It super-crazy, super-fun and super-risky as well! You need to do power-slides, control, be stable and fast. This longboard discipline goes at a speed higher than 60 miles per hour and reserved only for the pro riders. Here is a guide of downhill riding﻿﻿﻿ you might like to check . There are many downhill races organized every year at places close to traffic to test the riders' skills and speed limits. However, to conclude it is very dangerous and the riders should at all time buckle up in safety gears for this. Freeride longboarding would be going downhill in style. It is not as technical as downhill riding. There is plenty of room to go creative and blend in your other favorite styles or tricks. Riders switch side, spin, perform standing drifts and so on. It is a good way for the beginner riders to have fun, get comfortable while learning to control the speed. Ideally, the longboards for this discipline are 35 to 45 inches long along with a longer wheelbase of 25 to 32-inches. Downhill riders generally go for 70 to 80mm large wheels along with maximum contact patches. These boards are stiffer than those used for cruising. d. Freestyle – Freestyle or dancing on the longboard is a creative discipline. However, it includes numbers of technical moves and tricks like G-turns, kickflips, tiger claw, cross steps and so on. I have shared a few tutorials in my basic freestyle tricks﻿﻿ article . Do check that out. From beginners to advanced level riders; everyone finds it enjoyable and fun. A newbie can learn to exercise better control with this riding style. 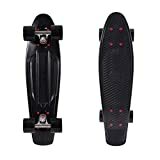 Moderately flexible boards with a wheelbase between 20 to 28 inches offer the responsiveness this riding styles demands. However, if you need ample room to dance comfortably on, you might find the boards longer wheelbase suitable. Freestyle longboards are generally seen to come in symmetrical shape or with twin kickflips along with drop-through mounting. These boards can go with many other riding styles as well. Longboarding Tips #2: Ride One, Before You Buy One! Without riding a longboard, you can never say if it is what you are missing in your life. So before your empty, your pocket on one, try out your friend's or cousin's board. After getting one home, stepping on it, if you feel awkward – it will a total waste of money. Again, if you have tried riding one and find it comfortable. You may also figure out your other preferences like if you want a pintail or symmetrical if you want to cruise or go bombing. 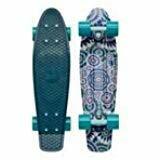 In short, the important off all longboarding tips is to ride a longboard, before you purchase one. Longboarding Tips #3: Shortboard or Longboard – Which One Would You Ride? It is pretty confusing. They both got a deck, trucks, and wheels. Both of them are fun. So how does it matter if I ride a shortboard or longboard? That was where I made a wrong move. They are different in many ways with individual riding purposes. Longboard is longer and heavier but more stable than a shortboard. Whereas, a shortboard is flexible, trick-friendly, portable and easy on the pocket in comparison with the longboard. Better you check out the Difference Between Shortboard & Longboard in details before getting into the features. Longboarding Tips #4: Understand How To Choose the Right Longboard – Buying the Parts. 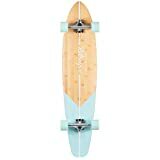 It is better to go for a complete longboard for beginners. Now there are several things to consider depending on your purpose, topography, style preference. I have already explained what features suit which riding styles. 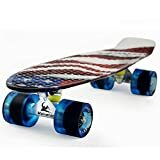 You can check my Ultimate Buyers' Guide for Beginners' Longboards where I have explained how the each and every part work together and what should be ideal for you. A. Deck. When you are going to choose the deck, make sure it is strong enough to support your weight. Also, it should be wide enough making you stable and comfortable. Deck 28-40" long, 8.25" width with smaller wheel base. Go for a board with a kicktail. 40-45" long with flexible construction. Shape: pintail, bamboo, drop-through, cruiser with 8 or more width. Stiff construction with medium to longer wheel base. Downhill: Concave or directional shapes. Freeride: Drop-through mounting, symmetrical boards with a kicktail. Responsive deck with medium flex and wheel base between 20 to 28". Longer wheelbase (28 to 35") for dancing. Drop-through mounting, symmetrical shapes, twin kicktail are ideal. B. Trucks. It is the T-shaped metal pieces that hold the wheels to the deck. There are several parts of a truck that I have explained in my Best Skateboard Truck ﻿﻿Buying Guide . Don't forget to check that out before getting a pair home. Make sure the truck is close to the width that of the deck. Now, another important deciding part of a truck is the height or the profile of the truck. I got it illustrated below. Ideal for 56mm or bigger wheels. These are ideal for cruising and curving purpose. These kind of trucks are regarded as all-rounder – suites almost everyone. Ideal for wheels ranging between 53 to 56mm. These are ideal for smaller wheels of 50 to 53mm. However, riders also use them with bigger wheels for extra friction and stability – recommended to install risers to prevent wheel bites. C. Wheels. Wheels come in several sizes, shapes, colors. But it is important to check a few things that affect your ride the most. a. Diameter. Wheels are measured in millimeters. Go for the bigger ones they are both fast and stable. b. Durometer. It defines how hard the wheels are. Higher the rating, harder the wheels are. Soft wheels are grippe while those on the harder side are fast. Go for the wheel which is soft enough to give you grip but again hard enough to support your weight. 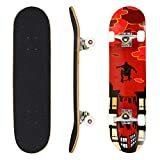 I suggest you refer to my Best Skateboard Buying Guide﻿﻿ with Recommendations before adding anything to your shopping cart. D. Bearings. Again small metal pieces that hold the wheels tightly with the trucks. It's not the size but the ABEC rating of the bearing that matter. Higher the rating, better the quality of the beatings. I have covered all the details in my How to choose the ﻿﻿﻿﻿perfect be﻿﻿arings article. Don't miss that out. E. Risers. This plastic hardware increases the space between the wheels and deck to prevent wheel bites. Generally, boards with smaller wheels don't need one but it's compulsory for one with larger wheels. No need of risers if you have up to 1" hardware. For 1 ½", 1 ¼" hardware, you would be ½" and ¼" risers respectively. F. Grip Tape. 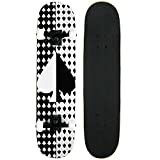 Grip tape is a sandpaper-like film that covers the top of the deck, They come in several designs and helps in performing tricks. Just make sure you get the grip tape with a higher grit. Longboarding Tips #5: Learn to Assemble a Longboard. Now you know all the parts of your ride and how to evaluate the best one. Though you are recommended to get a complete longboard, it is better to learn to assemble a longboard. That is why I have included it among my longboarding tips for newbie. a. A skateboard deck, unlike the longboard, generally comes gripped. If not, we would be explaining that below. b. Trucks with a set of 8 screws and nuts. It needs to be fastened tightly through the baseplate. c. Wheels come in a set of four. All of them should be similar. d. Bearings should be in a set of eight; two for each wheel. e. Bearing spacers; four in a set. f. Skate tool, adjustable wrench, Phillips screwdriver (required to assemble). A. Applying the Grip Tape. It is very important assembling task that keeps you stabilized on the board. you may or may not need to grip the deck, but surely someday you need to re-grip it. For this, you would need a grip tape that generally comes pre-cut. Go for a coarse grip tape. You would need a box cutter or a razor blade and a rasping tool to cut and grind the edges. a. Re-Gripping. As the grip tape wears out you need to re-grip it. Firstly, remove the old smeared grip tape. Also, unfasten the trucks so that the grip tape doesn't cover all the hardware under it. If you have a hair dryer handy, then you can use it to warm up the adhesive of old grip tape. It would be easier to peel it. Start warming and peeling it up slowly from one end (nose/tail) to the other. You may also require a razor blade at times to peel it. Got every inch peeled? Great! Let get to the next step. b. Coating. Take the new grip tape and place it on the deck. Start doing it from one end. Make sure you got one of two inches over the edge especially the ends – it is useful while you bind it. Got it right? Now you are ready to paste it! c. Pasting It. Cut a little of the corner and use it to sanding the deck. Now peel the grip tape just a little and start at the end. Lay it down – position it just along the deck, across the entire width of the board. Make sure you have an inch extra at the end. Flatten it with your hand. Peel off a little, flatten it down. Repeat it until you reach the other end. d. Grating the Edges. If you don't have rasping tool use the rounded part of your screwdriver to rub it down around the edges. You will eventually find a white lining. It signifies that it is secured and won't peel off easily. e. Trim It Down. Carefully trim down the edge along the white line you just made with a box cutter or razor. Take off the excess and again rub the edges with the screwdriver and give it a good and durable finish. f. Gripping a Drop-Through Longboard. After gripping the board, you need to remove the sheet from the mounting hole to mount the trucks. So, turn your board with the grip tape facing the earth and carefully poke hole with a screwdriver. Cutting the suspended grip tape around hole with a box cutter or razor blade. Turn it over again and rasp the inside edges of the hole with the screwdriver. Flip it over again for a final time to trim and the hole edges and rasp so it doesn't peel off. a. Top Mounting Trucks. Poke the holes on the gripped deck from the bottom. Put the screws in from the top then turn it over and slip the truck into the screws through the base plate. Depending on the construction of the board, you need 1 or 1 ½ inch screws. If you got risers, put the risers first between the deck and baseplate then the trucks. For standard kingpin truck, place them in such a way so that the bushing and the kingpin face each other towards the middle of the deck. For RKP trucks, they would face outward (nose and tail of the deck). Fasten the nuts to the screws and secure them nicely. b. Drop-Through Mounting Trucks. You need to remove the kingpin nut, hanger the top bushing and its washer from the kingpin first. Position the baseplate above the deck so that all the screws can go through the holes and the baseplate. If you want to add risers put them between the baseplate and the deck. The kingpin and the bushing should be facing towards the ends of the deck. Put on the nuts to the screws then secure them. Now you need to fasten the hanger, bushing washer, and top bushing itself. Make sure the bottom bushing isn't getting loose. Maintain this order of the parts as it is given. "Baseplate – top bushing washer – top bushing – hanger – bottom bushing – bottom bushing washer together held with the kingpin nut." The best way to do it to place the hanger pivot into the pivot cup then put it into the place. Tighten the kingpin nut so that the hanger cannot move vertically. Don’t tighten too much that you restricts your performance or too loose that you feel unstable while sliding. C. Fixing the Wheels & Bearings. Let's get started with the toughest part. Put the bearings into the wheel holes. Turn your board upside down with one end towards you. Take out a speed ring and the axle nuts from each axle of the trucks. Carefully place one bearing on each axle then a bearing spacer and then the second one. Slide the wheels onto each axle with the outer lips facing each other. Apply pressure so that the second bearing slides into the cores and this will lock the bearing spacer in place. Now put the speed ring onto the axle tagged on by the axle nuts and fix it. If you are not using bearing spacers, no need to tighten the axle nuts so much that the wheels refuse to spin. Leave a gap so that the wheels can move sideways. If you are using spacers, just tighten them hard. Done with the setup? get started with the other in the same way. Once all the screws, nuts, parts are in place you are ready to hit the ground! Longboarding Tips #6: Getting Comfortable. Longboarding is all about speed – crashing down the hill at high-speed, making those sharp turns right in front the incoming truck! No one can do it on day 1. I remember, once I fell so hard and hurt my knee that I couldn't even walk for the next 7 days! After months of crashes and impulsive injuries, finally, I got comfortable on the longboard. There are several videos available on Youtube that will give you tons of instructions but the most important thing that none of those videos would tell is to ride as much as you can to gain control and balance. It is most important tips of my longboarding tips. It is not feasible to lose control at 40mph while bombing down a hill. Most of them who tried it ended up in a big fall (some even on a hospital bed). The secret of getting comfortable is to master longboarding by riding across the city, carving around the joints, dodging the holes and bumps ahead. It is not in the ride but in the rider. It is all in your mind how you gain confidence, control your body and pace. It demands you time, sincere efforts and perseverance. So first learn ﻿how to ride a longboard , how to brake ﻿﻿﻿﻿ before trying to go ﻿downhil﻿l . Get all the protective gears even before learning the Coleman Slides . Longboarding Tips #7 : Be Yourself. Be the man, whom everyone would like to give a high five. It is your attitude that would keep you coming back. Be nice to your ride and other fellow riders. There would other travelers as well. Just don't be aggressive. If you don't have space ahead, relax. Don't rush in by throwing others out of the flow. Again, you may be doing some of the freestyle longboarding tricks differently. There is nothing to get anxious about. All of us are born different and this difference makes us unique. Doing things your way is your style – just flaunt it with a smile. To conclude all my longboarding tips, don't get the best longboard but the board perfect for you. Better to go for one with a longer wheelbase and softer wheels. Don't forget the bushing spacers. Find your stance and start it slowly. Ride it like crazy and get comfortable before giving the other longboarding tricks a try. Remember, it is all in your mind, just be patient and don't give up. Reaching new ranges and getting a bunch of advantages is an efficient method to play Critical Ops.